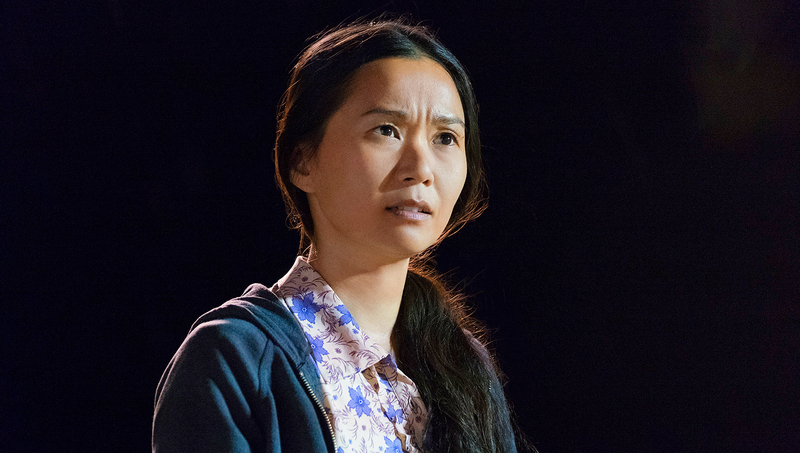 Veteran actress Hong Chau has largely flown under the radar for much of her career, but in Alexander Payne’s DOWNSIZING she eats up a role that I would argue is deserving of a leading role: economical in her screentime, her impact permeates the entire second half of the film, providing some much-needed relief from all the testosterone coursing through the film. If you don’t agree with me that this can be seen as a leading role, I got two words for you: John. Travolta. PULP FICTION. Yah dig? 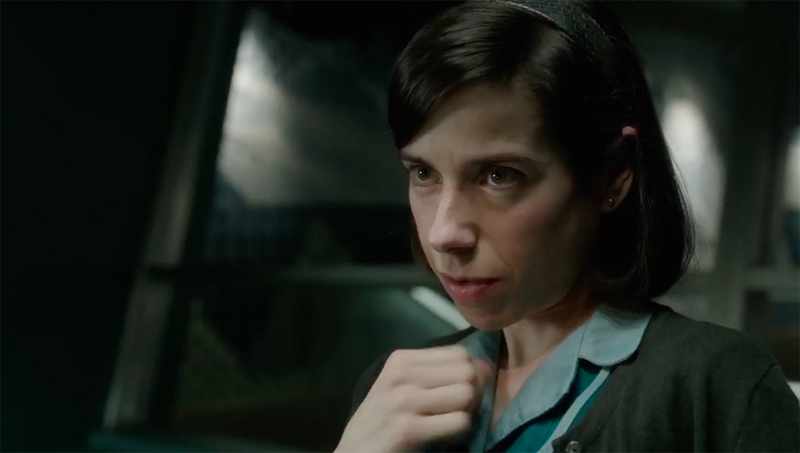 To me, Sally Hawkins’ Elisa embodies the psyche and spirit of 1950s Baltimore — reserved, inured to yet repulsed by prejudice, and maybe even a little paranoid. Hawkins, though, allows us to revel in fantasy, whether it be via auto-eroticism, camaraderie with a fellow dreamer who is low to change, or a tactile reverie with a companion charitably referred to as an outsider. That she is able to do this with hardly a line of dialogue places this performance on apar with Holly Hunter’s Oscar®-winning turn in THE PIANO. Stunning. 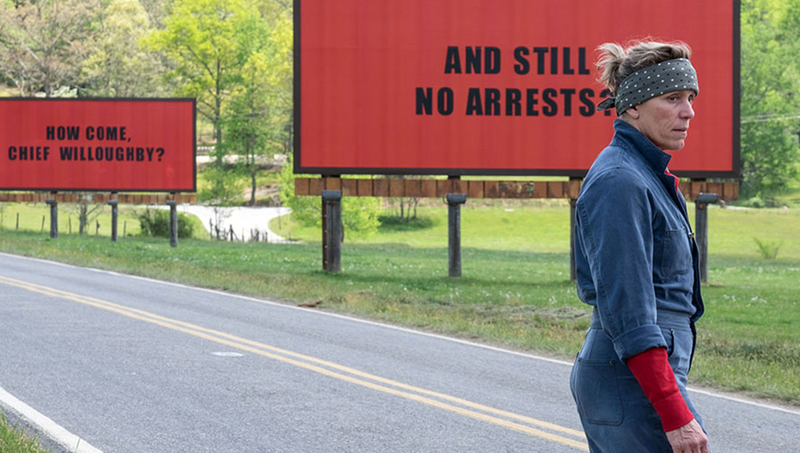 The fact that my feelings for THREE BILLBOARDS veered from intense anger to knowing laughter and relief is due in no small part to Frances McDormand’s grounded performance as Mildred, a woman seeking answer from an intransigent male hegemony as to the identity of the man who killed her daughter. Already a past Oscar® recipient for her role in FARGO, McDormand infuses her role with equal parts anguish and resolve. 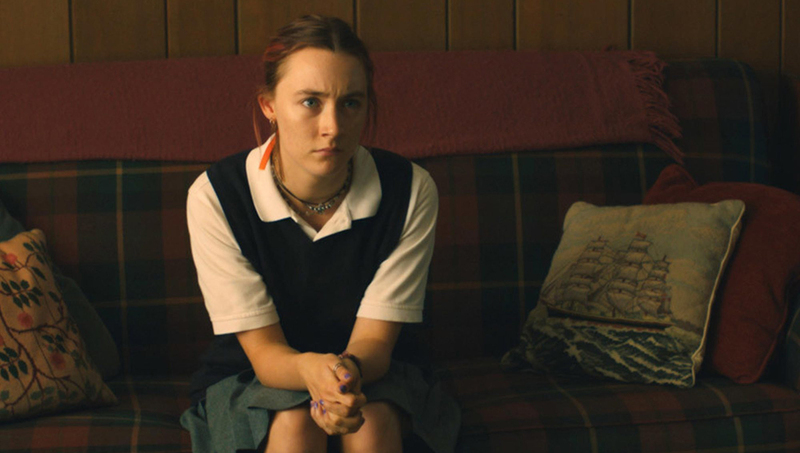 Probably the best thing about a film that leavens its wimmin-centrism with liberal doses of sugar and vinegar is Bronx-born Irish native Saoirse Ronan, whose comic turn as LADY BIRD’s title character is light-years away from her previous Oscar®-nominated role, in Joe Wright’s ATONEMENT (2007). I wonder, how can a film set in post-911 Sacramento already be considered a period piece? Through passion and exuberance, Ronan winningly brings to life a setting we are all familiar with — but from a place that we’ve all passed by. 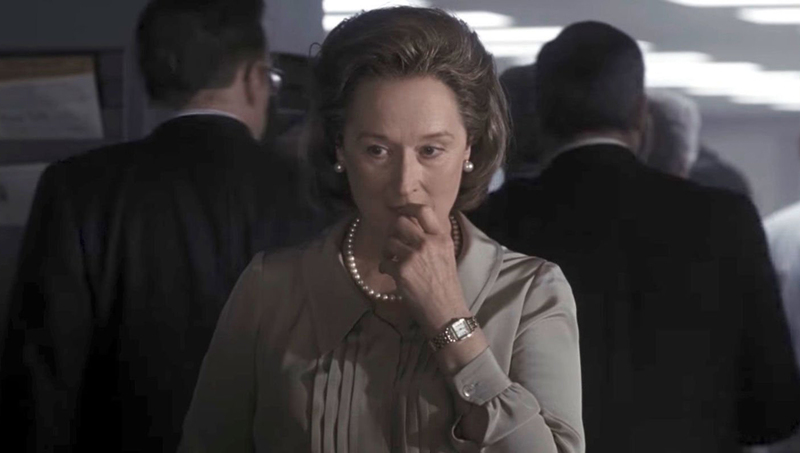 The closest thing to a throwaway nomination, Meryl Streep’s masterful star turn as Washington Post publisher Katherine Graham offers a firm rebuke to not only the “old boy’s club” running print journalism during the 1970s — her performance seems to offer a nuanced companion to the current #MeToo hashtag campaign in the wake of rampant exposés of sexual misconduct in the mainstream entertainment industry. Seen in that light, Steep’s performance isn’t just a worthy Oscar® recommendation — it’s a necessary one.